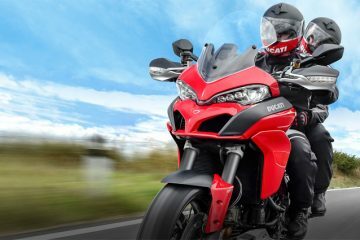 In the Multistrada 1200, Ducati had a road-going adventure-sports bike that stood up to all in its class. As a continental road tourer, it was exceptional. 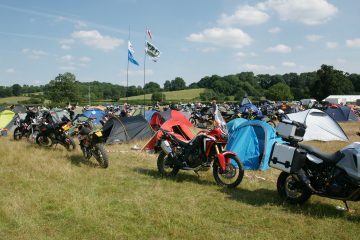 But it couldn’t match the all-round ability of rivals such as the BMW GS Adventure or the KTM 1290 Super Adventure. 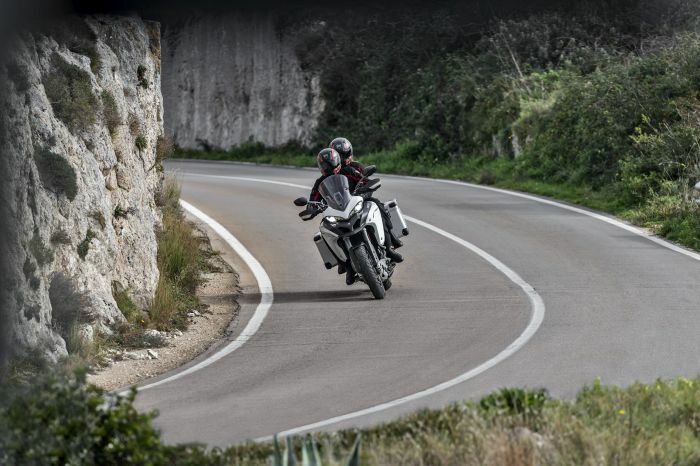 Step forward the Multistrada 1200 Enduro. 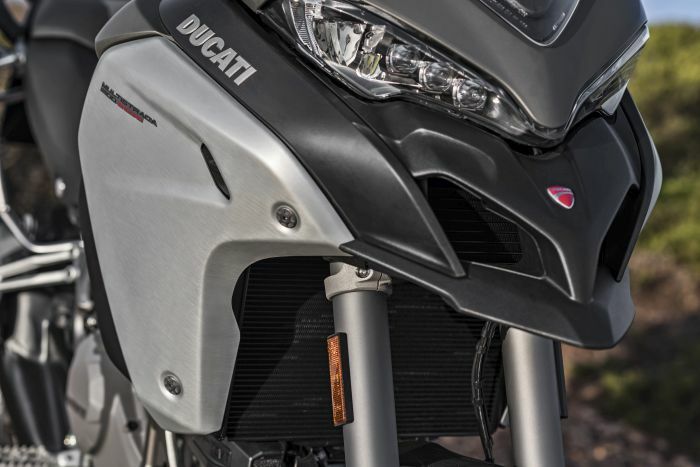 Ducati made hundreds of tweaks and changes to the Multistrada to bring the Enduro up to a point where it delivers all that an adventure bike should. The question is, how good are the results? 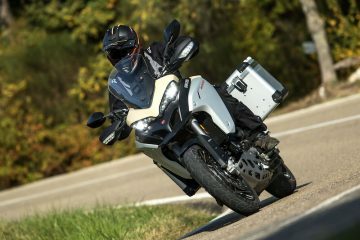 A full review of the Multistrada 1200 Enduro can be found in the new issue of Adventure Bike Rider, but for now, here are six things you need to know about Ducati’s latest adventure offering. Edit (0208/2017): The full review of the Ducati Multistrada Enduro was in issue 34 of Adventure Bike Rider magazine. 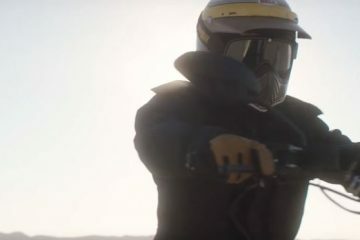 What Ducati has arrived at with the 1200 Enduro is the ultimate Chelsea tractor, the Range Rover of the adventure bike world. Just like the Range Rover is built to handle tough off-road conditions, so too is the Multistrada 1200 Enduro, and more to the point, you don’t need to be a Dakar veteran to venture there either. 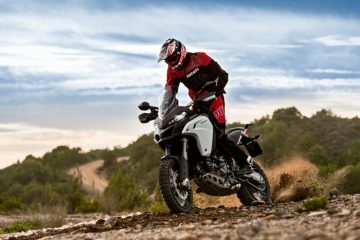 With its reprogrammed engine maps, altered geometry and longer suspension, it’s perhaps not so surprising that the on-road performance of the Enduro has taken a hit. It could not be ridden as fast and does not carry over quite the same assured cornering that we’ve come to love on the standard Multistrada. Having said that, the changes in performance are unlikely to be noticed in everyday conditions (which is far from the conditions experienced on a press launch). 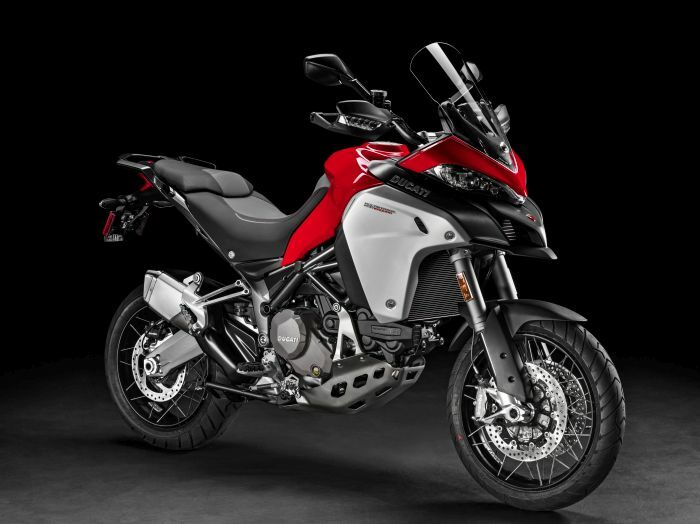 While it may share the same name, it’s important to realise that the Enduro is actually rather different than the original Multistrada. Rather than a son or a sibling, the Enduro is more like a second cousin removed who lives alone in a shack up in the hills. 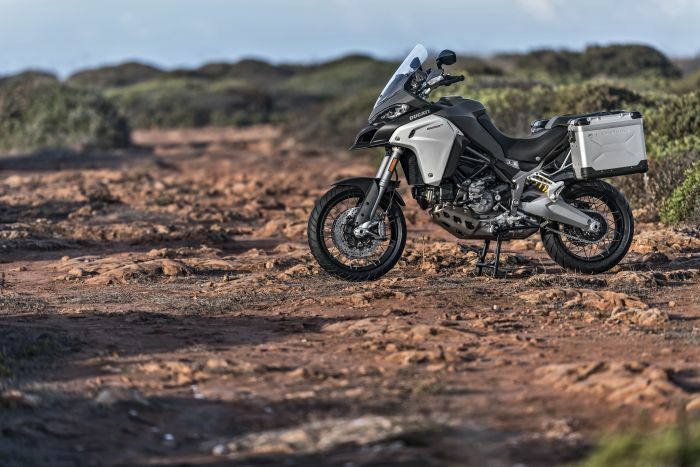 Roughly 30% of the bike’s components have been upgraded or changed to improve the bike’s off-road capabilities including 30mm more travel on the suspension, an increase of 35mm in ground clearance and the wading depth has also jumped up 77mm. You can also add to that a larger bash plate, gear ratio changes and new off-road orientated spoked wheels (19in front, 17in rear). 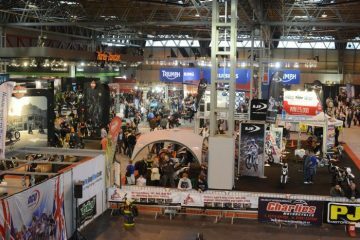 If there’s one thing that becomes obvious when you see the Enduro in the flesh, it’s that this is one bulky bike. It’s a big, tall and wide bike which seems to emit a commanding presence. 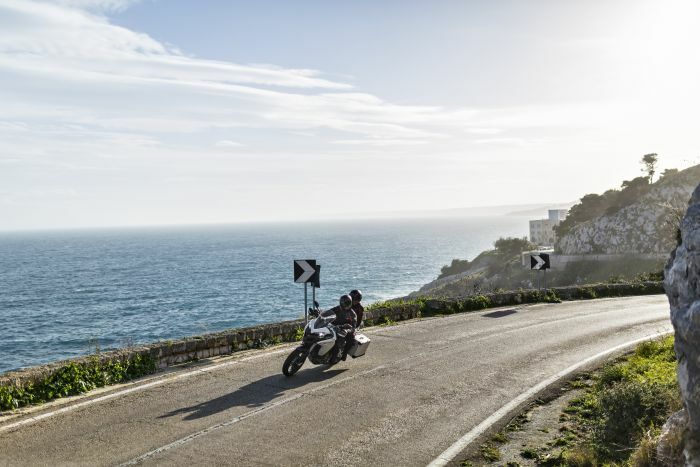 What’s more, when in the saddle of the Enduro, you’ll definitely get that ‘king of the road’ feeling, with a far more upright and forceful angle than that of the road-going Multistrada. Not a bad thing at all. While the bike may have put on some weight at the front, it hasn’t stopped Ducati from reconstructing the seat so it has a narrower profile. The result is a comfortable perch which, with a seat height of 870mm, is more foot-down friendly than you’d think. When stood up, the revised seat also provides a much better stance which is well-suited to off-road control and manoeuvrability. There’s no getting around it. This bike is not cheap. 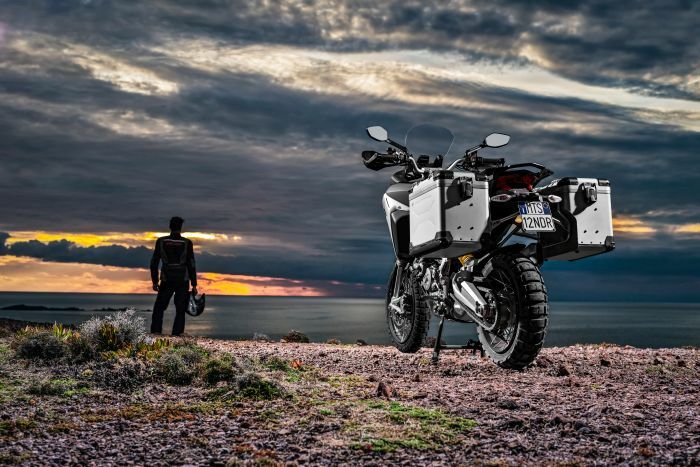 With a price starting at £16,690, the Enduro sits at the top end of the adventure motorcycle market, and while this does mean owners will be privy to exceptional quality, it also presents a dilemma. The issue here is that for all of its off-road nous, you’d have to be either very rich or extremely confident to take this great beast of a machine onto the rough stuff.